The mobile retail shops of a telecommunications group announced that it has selected ETP V5.2 retail solutions for its retail chain. It is a chain of multi-brand outlets that stocks mobile phones and PDAs, and also sells content-rich applications in music, gaming, imaging and downloads. Rated amongst top 3 retail chains in Asia, the mobile phone retail company has created a highly visible chain of one-stop telecom stores focusing on lifestyle technology products, with a continuously upgraded innovative multi-brand product range. 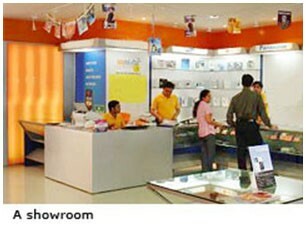 It offers a unique retailing experience and ambience to help customers “Enjoy Technology”. The focus is on developing the market amongst young, techno-savvy, fun loving, style conscious customers. There are approximately 60 outlets across Mumbai, Delhi, Punjab and Varanasi. The chain is in expansion mode and will set foot in Bangalore and other cities soon. The retail company was established to help extend the retail distribution network in the parent company’s markets. The parent company is ranked amongst the top 5 private GSM operators in India. The telecommunications industry is growing in the region. 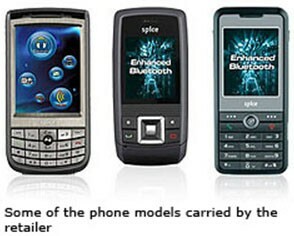 With the advent of modern technology in mobile phones and the increasing demand for stylish and technologically advanced phone sets, the challenge for mobile phone retailers is to be able to launch and stock on the models in demand as fast as possible at the right locations. Not only that, savvy customers today are empowered with strong product knowledge and expect a high standard of service. “The retailer came to ETP with specific requirements for their business segment. Among the list of requirements was the ability of the solution to scale with their expansion plans. We are delighted that they have identified with the key values that ETP V5.2, the retail management solution and ETP International as a technology partner, can bring to their business and selected us,” said Mr Naresh Ahuja, Chairman ETP International Pte Ltd.